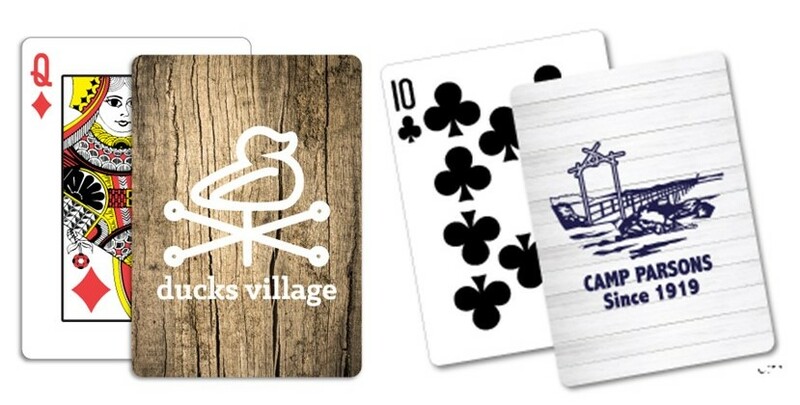 Our Vintage wood theme playing cards are a great choice for designers, home renovators, wood flooring, siding or anyone looking for a vintage design! Shiplap is new and creates a great background for your color logo, design firm message or creative unique marketing tool. 23 different imprint colors are available for your Relaxation Customized Playing Cards. These Custom Playing Cards are Poker Size (2-1/2" x 3-1/2") with Regular Index faces (i.e., faces with standard size numbers and pips). Moreover, these Decks of Customized Playing Cards come packaged in sturdy, cardboard window tuck boxes that nicely showcase your back design. Our line of Customized Special Theme Playing Cards is made in America on high-quality, real, plastic-coated playing card stock. Your satisfaction is guaranteed when you order Custom Playing Cards from us! Contact us today toll-free at 1-800-233-0828 to get your Custom Relaxation Playing Card Decks. Vintage or Shiplap: Poker Size – 1 Color Imprint $4.05 $3.95 1-5/16" 1-5/16"
It's easy to get started with your Custom Vintage Wood or Shiplap Playing Cards. Simply email your artwork in digital file format to graphics@kardwell.com. Then call 1-800-233-0828 to speak with a representative.